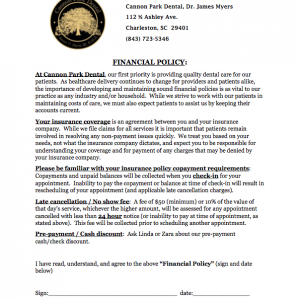 Download our Financial Policy Form. 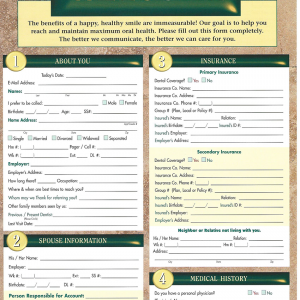 We know your time is important, which is why we’ve provided our new patient forms here so you can fill them out and have them ready for your first appointment! Simply click on the download button and print them at home. We’re always accepting new patients! 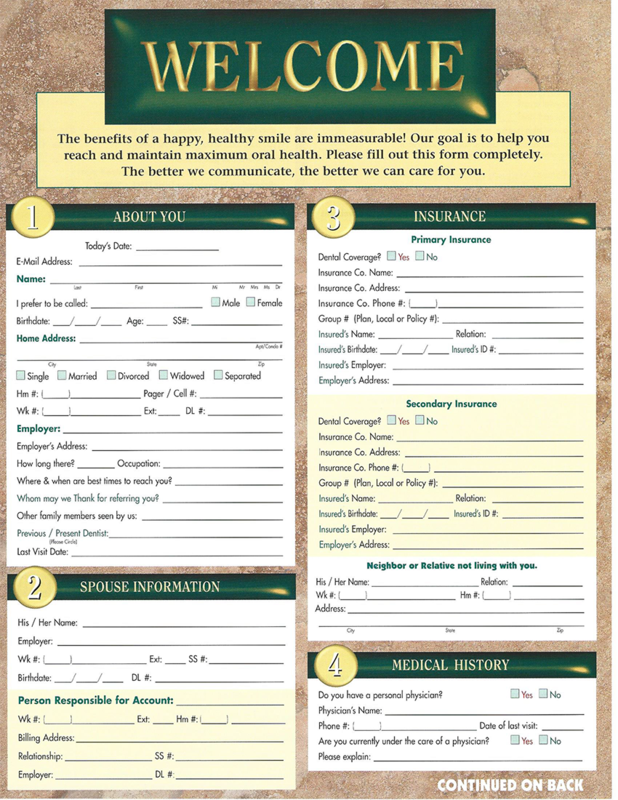 If you’re interested in making an appointment with Dr. Myers and the team at Cannon Park Dental, please fill out our contact form, and we’ll be in touch right away! Cannon Park Dental offers dental services for all members of your Charleston family. 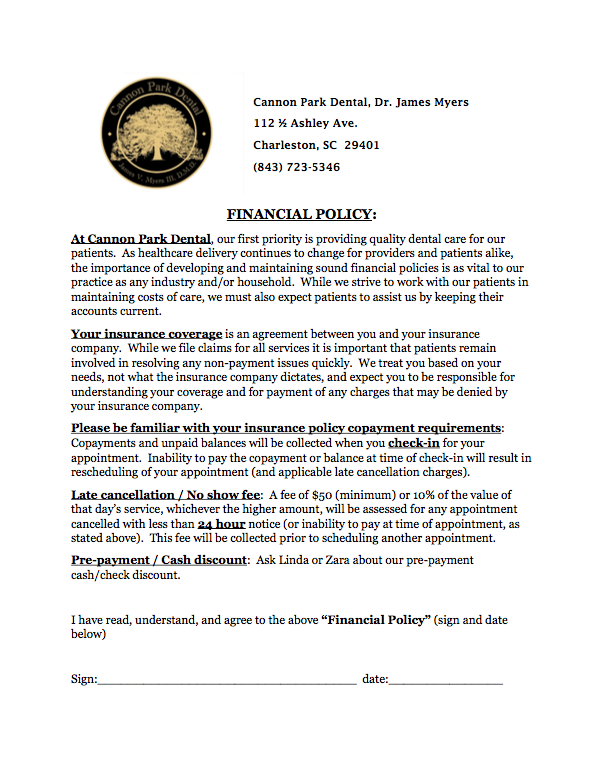 Cannon Park Dental accepts ALL FORMS of insurance. Contact us for more detail. Dr. Myers and his staff offer Comprehensive Family Dentistry in Downtown Charleston.